Client meddling comes at a cost in this Fibonacci-inspired guide to setting your fees. Calculating your rate as a designer or illustrator is a notoriously tricky task, as is managing clients that think they can design. If you can relate to either of these situations, then you’ll appreciate the latest image to go viral on visual storytelling site Imgur, the ‘Graphic designer’s pricelist’. Still want to design everything? Based on the Fibonacci sequence, the fees follow the 1:1.61 ratio – otherwise know as the Golden Ratio – spiraling upwards as the client increasingly takes control. Clients: take note. 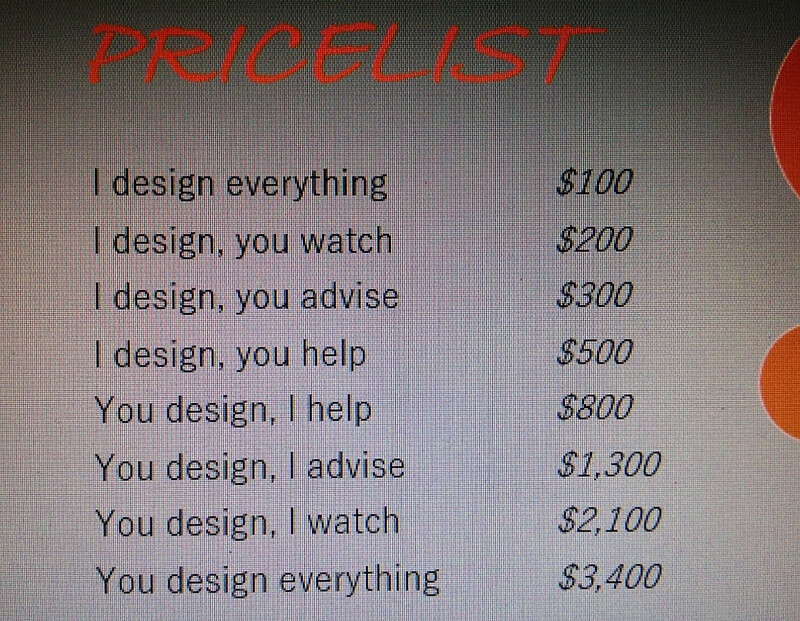 If this pricelist is anything to go by, your design ‘skills’ might be about to get costly.